This is some static content. To most of us, there doesn’t appear to be a difference in jacket sleeves. They are there for warmth and protection from the elements, but that’s about as much as we consider. However, there are two main types of sleeve designs on most winter jackets: raglan and set-in sleeves. 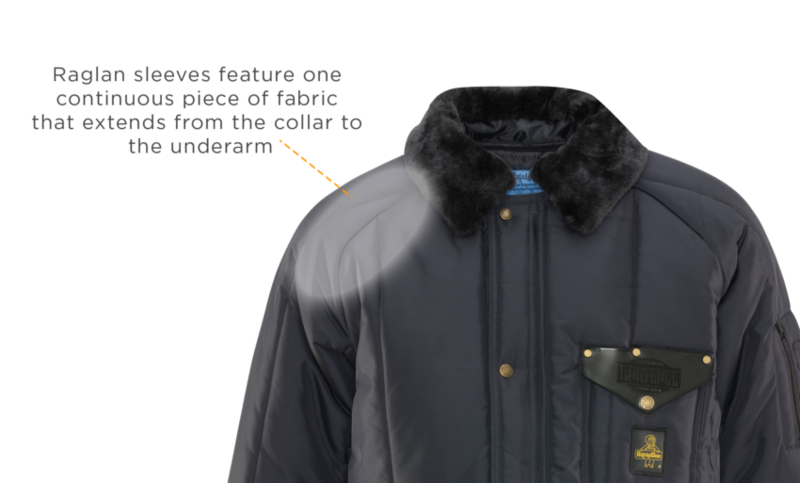 Knowing the difference may help you pick exactly the right type of jacket for your next Fall or Winter outing, or when working regularly in cold environments. A raglan sleeve features one continuous piece of fabric that extends from the collar to the underarm. The design provides more room under the arm because of the one-piece, straight line that follows the contours of your shoulder. Often used in more sporty or casual clothing, like tee-shirts and sweatshirts, raglan sleeves are also a popular option for heavier winter clothing because of the extra room the design creates. The extra space gives you a wide range of movement for your arms, especially at or below the shoulder level. The collar-to-shoulder design follows the natural shape of your body, so raglan sleeve jackets can be easier to slide on over the shoulders. The raglan design is a great option if you’re going to be wearing heavy layers underneath and will be fairly active. There are a couple of drawbacks to raglan. One is that the extra material created by the design can make it seem more bulky in the underarm area when your arms are at your side. Another is that raglan sleeves offer a less-structured or tailored fit, so comfort, maneuverability and fit will be greatly impacted by the shape of your body and especially your shoulders. Think of a set-in sleeve as a sleeve that’s added to a vest; the sleeve is sewn in around or just below the point where your arm and shoulder meet. Most jackets feature this type of sleeve design because it looks natural to the body and keeps a structured look even when you are wearing it over other garments. The set-in sleeve design is the standard, for example, of business suits and most winter jackets. Aside from the more natural look around the shoulders, the design is also great when you are wearing light garments or base layers underneath. Combined, these benefits for set-in sleeves make the design versatile and widespread. The main disadvantage of the set-in sleeve design is the way the material may bunch at your shoulder when you reach above your head. Because the sleeves are attached at the shoulder, any time you raise your arms, the rest of the jacket will go with them to some extent. 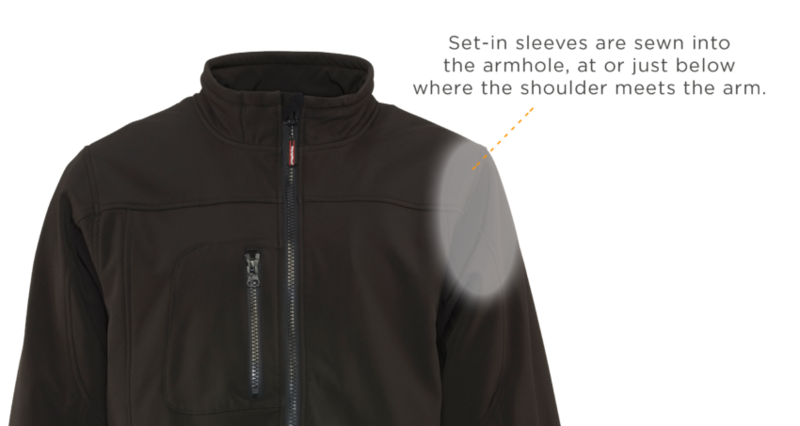 The sleeves won’t limit freedom of movement in a jacket, but if you are continually reaching over your head, the jacket itself will have more movement, possibly making you vulnerable to drafts. As with any winter or cool-weather jacket, your first concern will be about comfort and warmth. The good news is that neither type of sleeve design will impact your jacket’s ability to provide warmth or comfort for all types of activities. So your main considerations should be the types of activities you’ll be doing and what fit is best for your body.